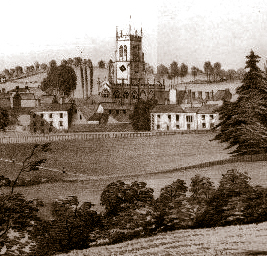 The booklet describes Coleridge’s significant achievements during his stay in Calne, Wiltshire. Coleridge lived there for a comparatively short time, but this was a period of intense creativity, just as his less than three years in Nether Stowey had been. Between 1814 and 1816 his efforts coalesced into an amazing tour de force: Biographia Literaria and Sybilline Leaves, the publication of Kubla Khan, Christabel, and The Pains of Sleep, the annotation of The Rime of the Ancient Mariner, and the first draft of his second play, Zapolya. Coleridge in Calne describes the almost miraculous recovery of Coleridge from a period of deep depression and drug dependency, and is an encomium to John Morgan, Mary Morgan and, her sister, Charlotte Brent, who were instrumental in his support.